THE GARDA SÍOCHANA Ombundaman Commission this afternoon sent a file to the DPP following an inquiry into the nature of the gardaí’s relationship with convicted drug dealer Kieran Boylan. Speaking to TheJournal.ie a spokesperson for the Garda Ombudsman confirmed that it has concluded “a public interest investigation that began in 2008 into allocations of collusion between members of the An Garda Síochana and a named individual in the movement and supply of controlled drugs”. The inquiry also looked at the extent and nature of relationships between memebrs of An Garda Siochana and that individual. The spokesperson said the Garda Ombudsman has been careful not to ever identify any of the individuals who were involved in this. However TheJournal.ie understands the “named individual” referred to by the Ombudsman is Kieran Boylan. In October 2005, Boylan faced six charges in connection with the seizure in Louth of €1.7m worth of cocaine and heroin. He had already been sentenced to five years in prison and was on bail for drugs charges at the time. In July 2008 the 2005 charges against Boylan were dropped and no explanation was given by investigating gardaí. 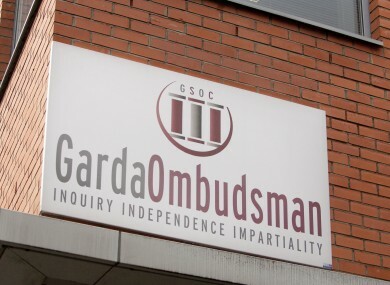 Thereafter the Garda Ombudsman Commission was called upon to investigate the matter and launched a public interest inquiry. The Ombudsman investigation has now been sent to the DPP who will decide whether or not to bring criminal charges against any of the people involved. Email “Garda Ombudsman sends file to DPP after Kieran Boylan inquiry”. Feedback on “Garda Ombudsman sends file to DPP after Kieran Boylan inquiry”.